After becoming fascinated by the circus at a very young age, Jiří Kylián was nterested in acrobatics, leading to him joining the Prague National Theater School at the age of 9. Six years later he would be admitted to the Conservatory of the city and in 1967 he obtained a scholarship for the Royal Ballet School in London. Here, he meets a key figure, the choreographer John Cranko, who engages him in the ballet of Stuttgart. He left Germany in 1975 to become co-artistic director of Nederlands Dans Theater (NDT) in The Hague. In 1978, after the success of his ballet Sinfonietta – accompanied by the music of his compatriot, composer Leoš Janáček – at the Festival des Deux Mondes in Charleston (South Carolina, USA), he is subsequently appointed artistic director of the NDT. His Symphony of Psalms, the second major work of this period, will mark the company’s prominence and establish his international reputation. By the mid-1980s his style had become more abstract, as evidenced by the ballets of the series Black and White. His meeting with the Australian Aboriginals influenced his views on dance, a cornerstone of social structure and a key component of the artistic heritage of humanity. 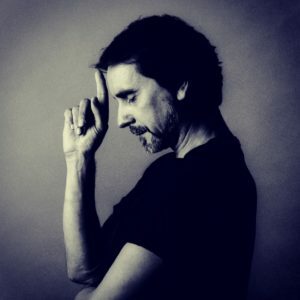 For the 35th anniversary of NDT he created Arcimboldo in 1994, a ballet uniting the three NDT companies, a unique structure that embraced all phases of a dancer’s career, from 17 to 70 years old. Jiří Kylián retired in 1999 as artistic director of NDT, but remained as resident choreographer of the ensemble until 2009. Since the early seventies, he created nearly one hundred ballets, three quarters of which for the Nederlands Dans Theater. He is the holder of many awards, including the Nijinsky Prize, awarded in Monte Carlo, and the French Legion of Honor. In 2006, he co-directed a film, Car-Men, choreographed and filmed in the desolate landscape of an open-pit coal mine in the Czech Republic. He has since created 3 more films and a photo installation. Brigitte Martin was born in Granby, Quebec where she received her first ballet classes. From the age of 10 she studied for 8 years at the National Ballet School of Canada in Toronto. In her final year she won a bronze medal at the International Ballet Competition in Jackson, Mississippi and after graduation she received a Canadian Arts Grant. In 1983 she joined the Nederlands Dans Theater and worked with choreographers such as Jiri Kylian, Hans van Manen, William Forsythe, Ohad Naharin, Nacho Duato, and Mats Ek. 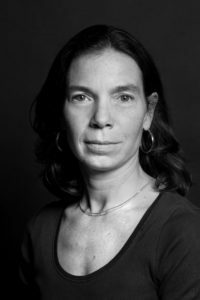 After dancing for 15 years at the Netherlands Dance Theater she continued on as rehearsal director for 7 more years at NDT. As of the year 2004 Brigitte Martin teaches classical ballet and repertoire at Codarts University of the Arts in Rotterdam and sets ballets from Jiri Kylian and Hans van Manen for dance companies around the world.